City of lights Karachi got lightened by Pakistan Idol. Karachi 24th October,2013 : The Largest and most populous metropolitan city of Pakistan Karachi got lightened with Pakistan’s first ever music reality show Pakistan Idol “Jo haiDilkiAwaaz”. The biggest city gave the biggest turnover so far in this journey of Pakistan Idol. Karachi also known as city of lights for some time became as the city of music and great talent. Huge turnover was seen with an amazing crowd with full of energy and passion for music. Karachi was team Idol’s last destination for auditions and this was the best ending which the Karachiites bought at Pakistan Idol’s platform. Karachi is home to music, theatre and art activities but this was something new and something amazing which we saw in these 3 day auditions in Karachi. Overwhelming crowd , enthusiastic contestants who were least bothered about the hot weather and just wanted to give their best in Pakistan Idol’s auditions. Contestants were found screaming“Jeetaygabhaijeetayga ,Hamara Karachi jeetayga” & “Dama Dum Mast Qalandar , Karachi ka Pehla number”. Surely contestants from Karachi were one of the best contestants in the whole Idol journey. 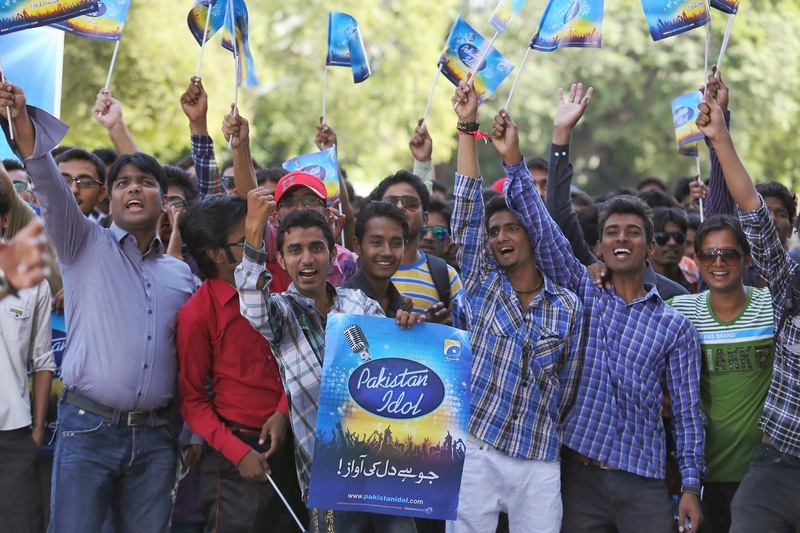 The auditions which started from Islamabad ended with more energy in Karachi. It seemed like Karachi gave its best in the ending of the audition sessions. Let’s see what more we get to see in the coming days of Pakistan Idol “Jo haidilkiawaaz”.